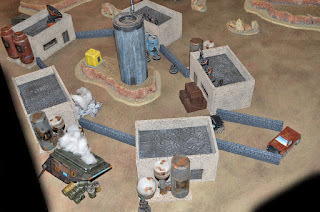 Late March 3031: After a long pause in the fighting the Hell Knights discovered that Titania Militia forces had re-built and supplied the "Ghost Compound" and were using it as a base of operations. 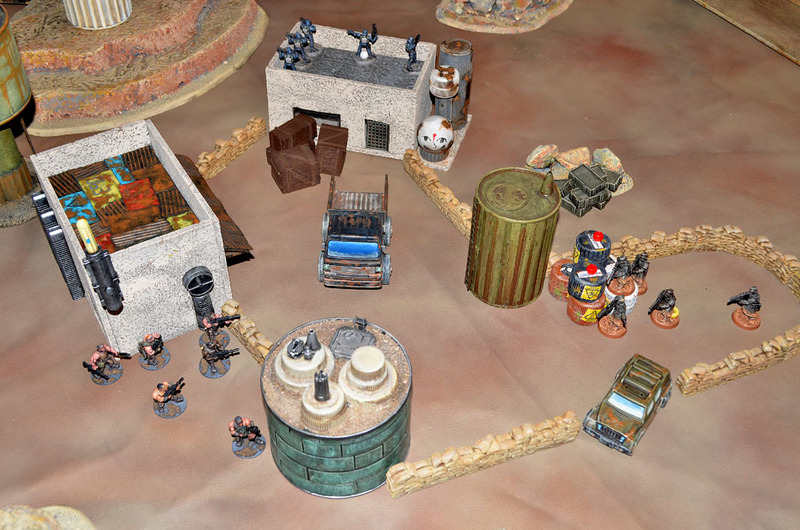 A sizable force was dispatched intent on either retaking the compound or at least destroying as many supplies as possible. 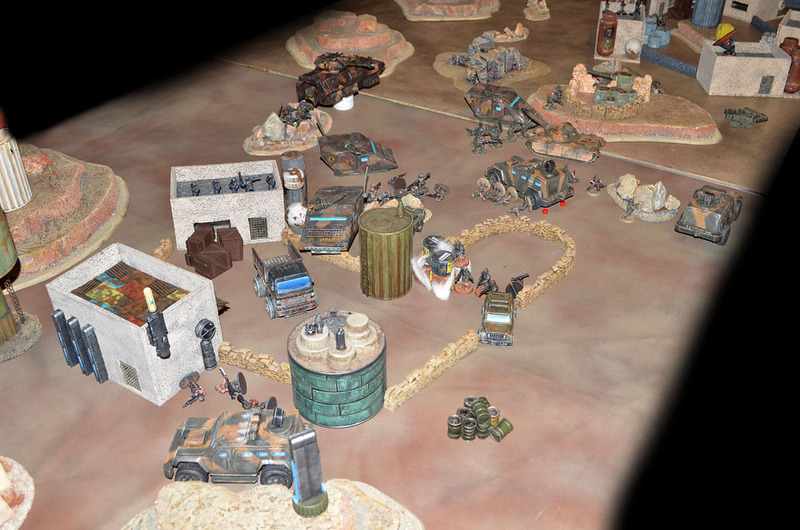 The fighting began around the smaller "Specter Compound" when a Hell Knights scout squad engaged mercenary and security forces there supported by a light hover tank. Another scout squad attacked the main compound held by "Boon's Irregulars" supported by a sniper. Supplies were stacked in both compounds and the surrounding area. 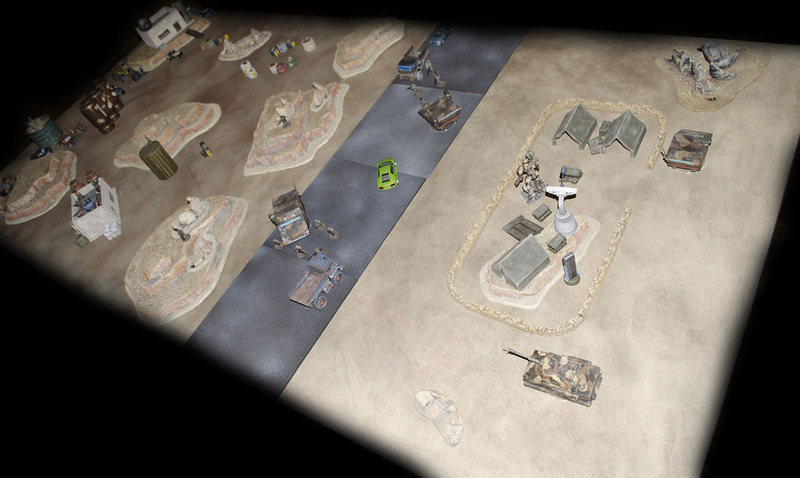 After a brief skirmish between the scout and militia forces mechanized infantry and armored units from both sides entered the combat. 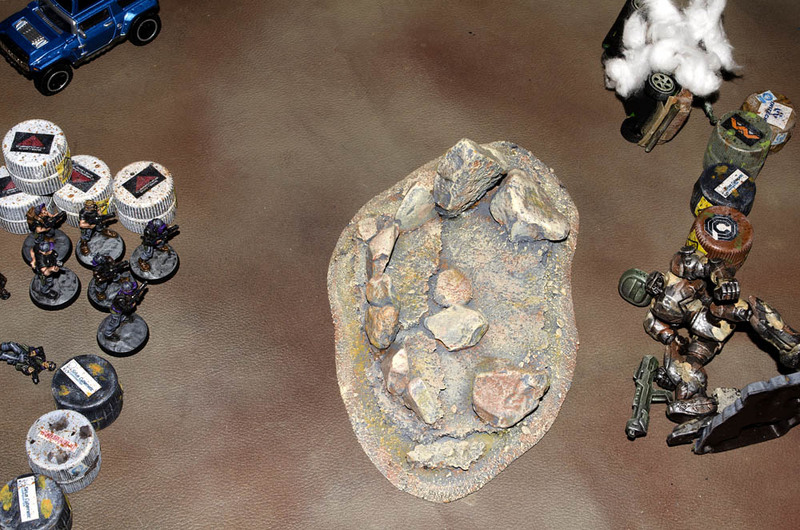 Hell Knight and renegade Titania Planetary Guard units engaged head on in the open ground between the compounds. Casualties began to mount quickly for both sides. Specter Compound was over run by Hell Knight forces and the supplies there were destroyed. 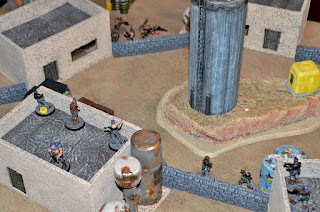 The assault on Ghost Compound did not fare as well. Planetary Guard Tanks stalled the Hell Knight advance and even though a single Lagarev Hover transport managed to break through both it and the majority of the scout squad were destroyed. 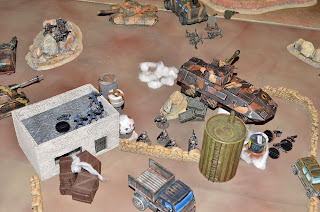 At the end of the battle the Hell Knights were forced to withdraw with heavy casualties although they did manage to destroy about half of the militia supplies. Early May 3032 near Pleasant Valley: After reports of increased militia activity in the town of Pleasant Valley the Hell Knights set up a checkpoint on the main road running between Pleasant Valley and Station 42. 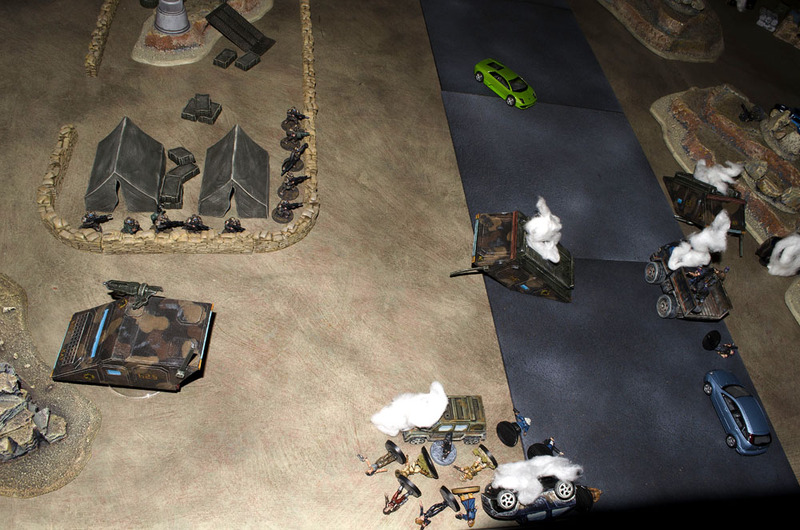 Titania Militia units attacked the checkpoint in an attempt to make the road safer for their activities. As militia units advanced the Hell Knight armored units moved up to the ridge across from there checkpoint. 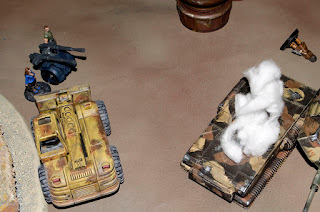 The militia were using light civilian vehicles for transports which were little use against the Hell Knights heavier guns. The militia also had two field artillery pieces and a few improvised armored vehicles. 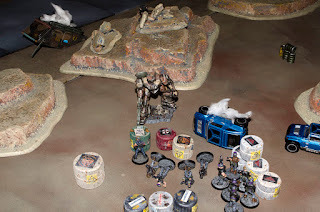 The Hell Knights commander piloting a Battle Suit and Light Hover tank pressed into the militia ranks and did significant damage cutting down many of the lightly armored troops. The commander managed to also take out one of the Improvised armored vehicles but was eventually stopped by combined fire from the militia and field piece. The Mercenary hover tank also took out several militia troops and improvised armored vehicles until it was taken down by the militia's AC 10. Even though they lost several armored units during the fighting the Hell Knights managed to force the militia to withdraw. 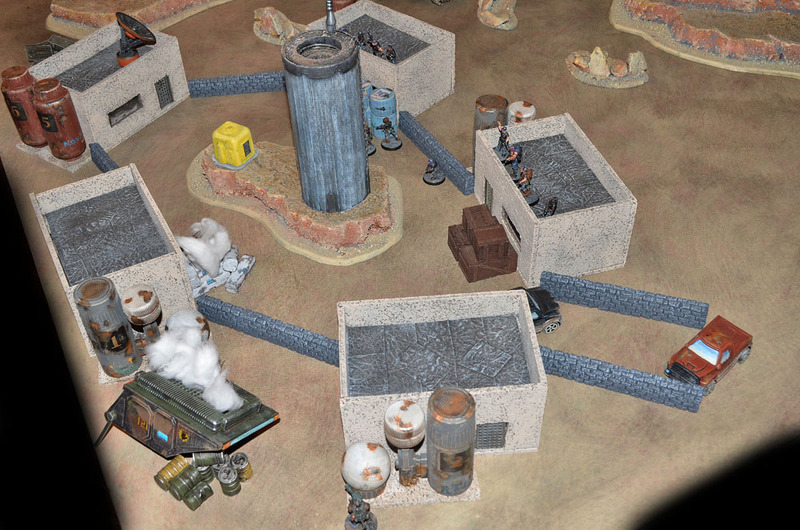 The veteran rifle squads and remaining Lagarev light transport managed to hold the checkpoint against the few militia that made it past the ridge. Alphonso Marks for the Titania News Network. Notes: The 2nd battle of the Ghost Compound was one of the largest battles we have had in the campaign to date at 2500 points using the No Limits system. We were very happy to bring a number of units onto the field for this one. It was a lot of fun to have a large battle with combined arms. The Battle of Checkpoint Bravo was a 1500 point skirmish. Although we plan to have more skirmishes we plan to ramp the campaign up with much larger battles involving Mecha and air support as well as tanks and infantry. A visual feast for the eyes, Nathan! Thanks for sharing! 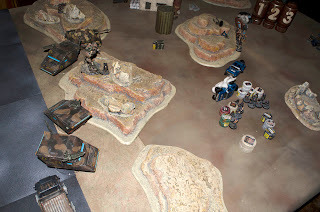 Painting progress on Hover Tanks and Mech!